Catzowey! Some super uber dooper stars been strutting their paws down the RED carpets these dayz and I'ma feeling kind of REDiculously fun and in the RED mode too. 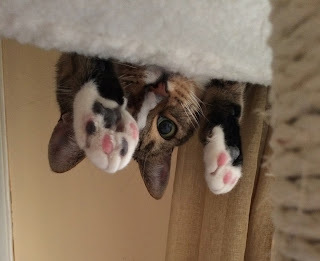 Life izza purrfecto puzzle every day and can be REDiculously funtasticat. Just when I thought Me & Myself wazza chillaxing in REDiculously fun RED stuff, bamzatini I sees a level of lemmons that are making me kick uppa my paws, so purrhaps I'ma feeling MELLOW YELLOW. Baaaack to feeling meowvalously REDiculous! 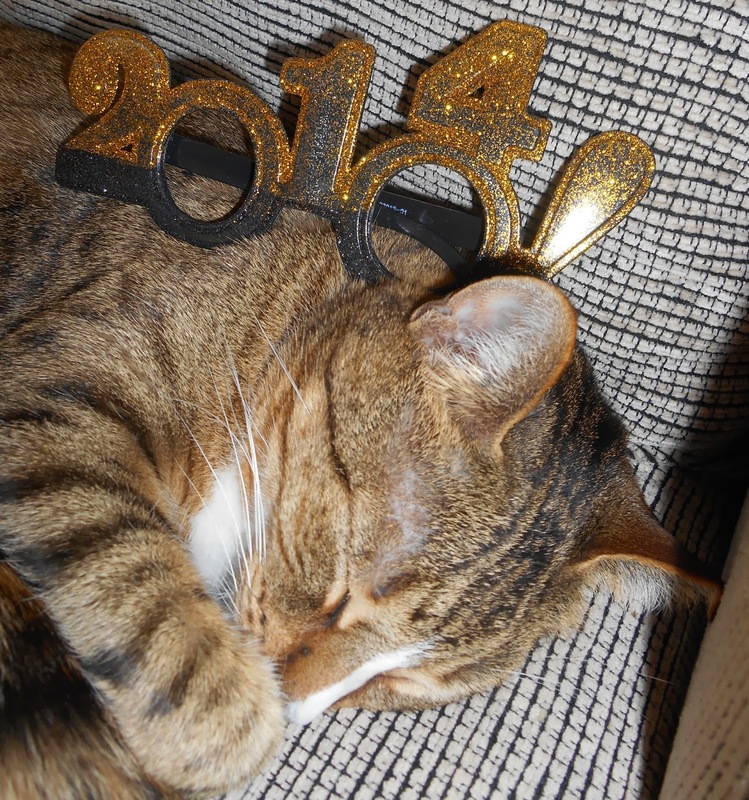 My & Myself wishes you a REDiculously funtastic and meowvalously purrfecto final week of this January! Holy Cannoli! I luvs feeling sporting and sports are good for stimulating my energy and appetite too. Didja know it's fur shure that when youza invites a furiend over to watch a sport, they can bring speshule deezerts to your table.....so I luvs luvs luvs sports! 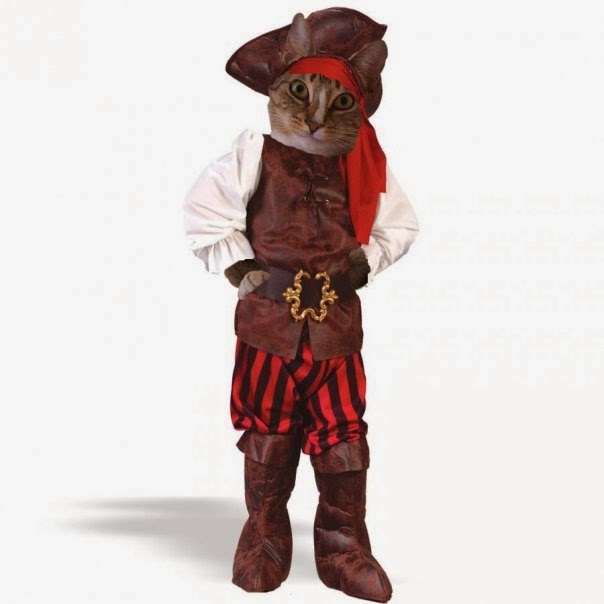 Catzowey! 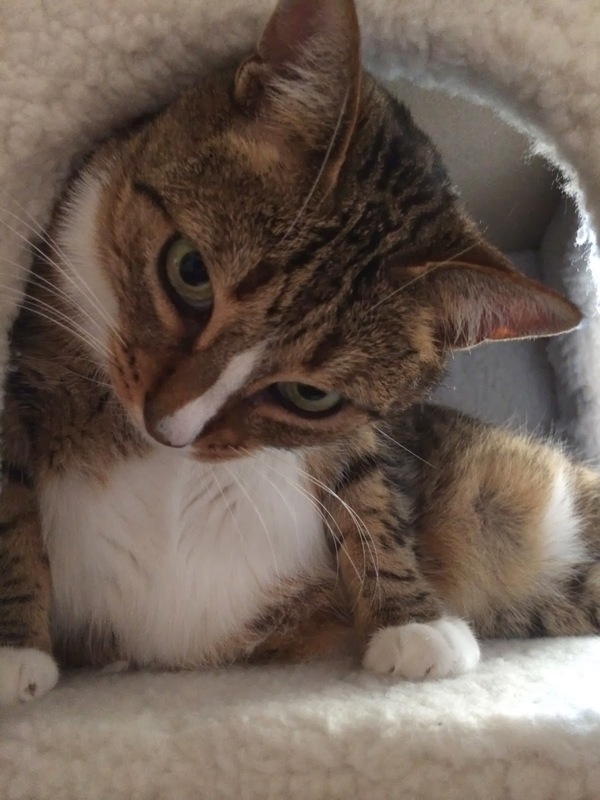 When I eats all those holy cannolis then I cannot fit into my Man Cat cave cuz the door gets smaller when my EyeTailYun tummy gets bigger. 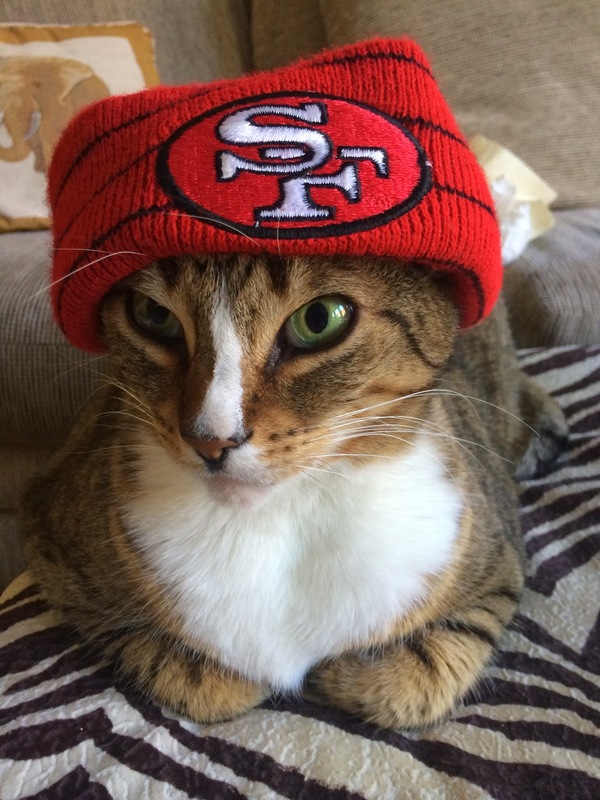 Me & Myself always feels so so so sweet in my finer Niners footzaball hat, even if my San Franfuncisco team duzn't win. It's OK cuz someone gotta not win. Now I'ma gonna be springing into Spring training which is as sweet as a giganticat platter of holy Cannolis. Are you purrpondering what sweets gonna land on my home plate? Wishing YOU a nonCATastrophic sweet week - yep uh huh! Stomp Your Paws & Stamp It ! 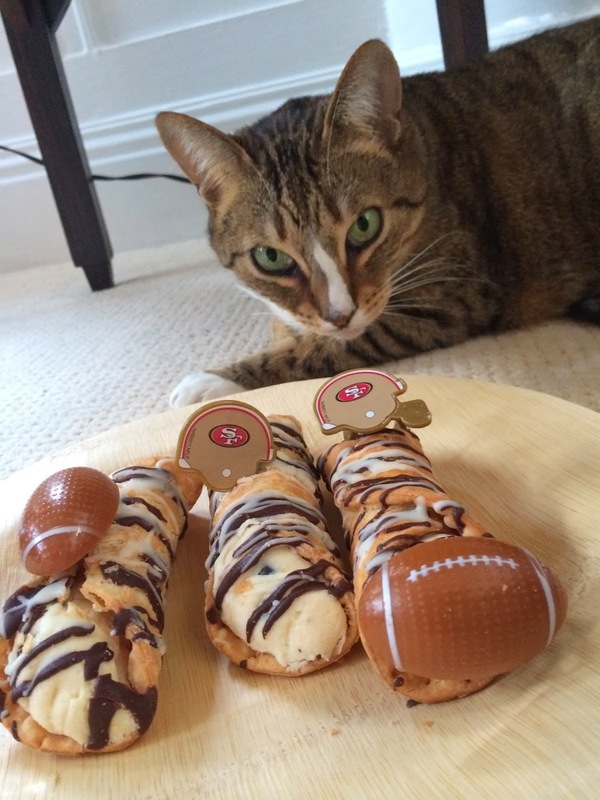 Catzowey and a meowvalous Holy Cannoli! I gotta my foto on stamps! Yep BUY my meowster face on YOUR Stamps, then you too can have my EyeTailYun face on your precious notes youza sending out to anybody whooza luvs meowsters or needs a purrrk up. Itza close up purrfeshunal shot of my USA $.46 Stamps and youza can also order foreign stamps or USA stamps or postie card stamps too all in different catzowey sizes! Yep Uh huh weeza got stamps galore for you! Sometimes Me & Myself wants to box us up and ship us right over to YOU with my Stamps! 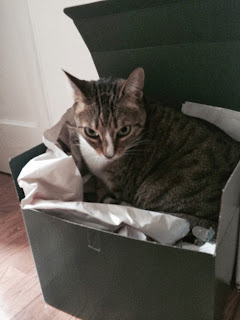 And itza Savvy Faire and Say Si Bon Bon to ship myself to Furance as a French Cat but purrrpondering how many of my customized Stamps would I need on dat box! Sometimes I asks Me & Myself whooza gives a hoot hoot hoot and I goes hee hee hee - me! 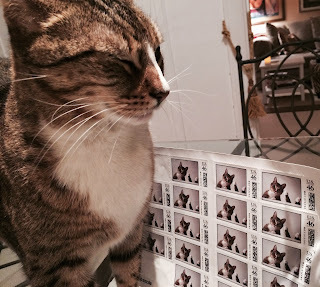 No matter whatza direction youza looking at stamps, Me & Myself still puts my Stamp of Approval on sending you my abundacat good wishes for a nonCATastrophic week ! 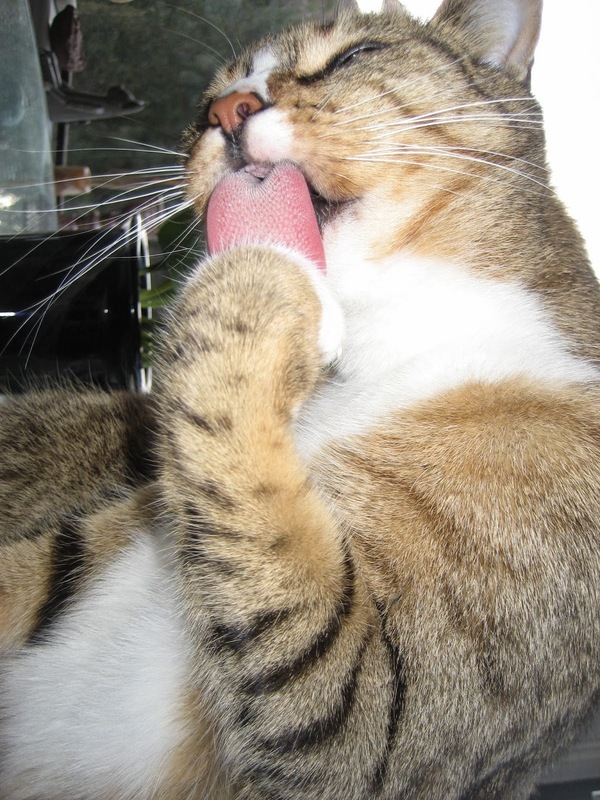 The taste of a new MEW year 2014 is meowvalous and I thinks we got good stuff coming upon our paws. Yep uh Huh I do thinks that fur shure. 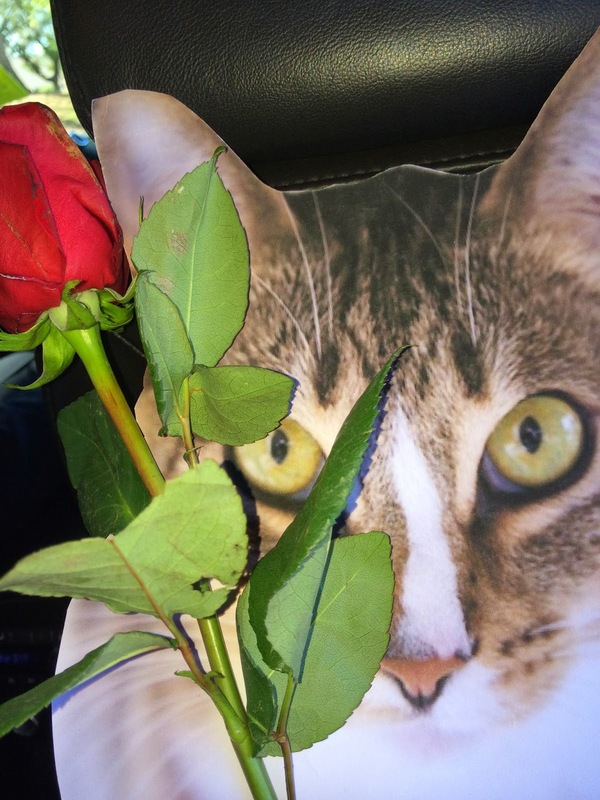 Everything coming up Roses in this meowvalous 2014! OH ! 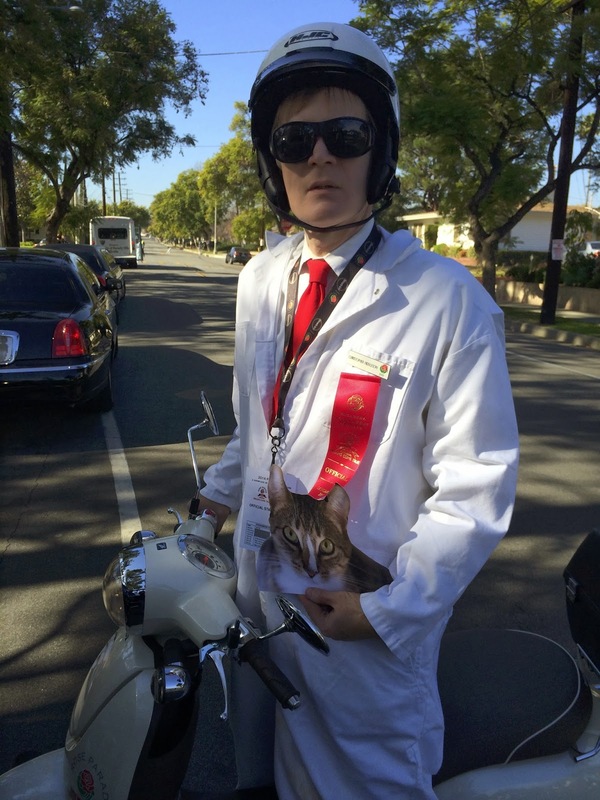 On 01-01-2014 Me & Myself started the MEW year in Pasadena at dat Rosie Bowl Purrade and this great guy gave me a ride on his Rose Bowl Scooter wearing his dapper Rose Bowl Patrol Suit. So itza rosie year so far for Me & Myself. 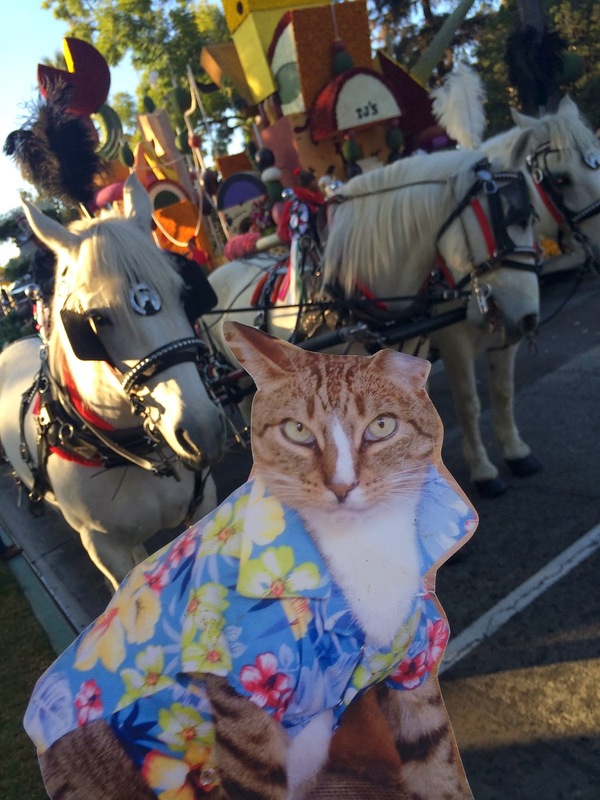 There will be no horsing around in 2014 but itza gonna be a funtasticat year I hear, and I might monkey around town. 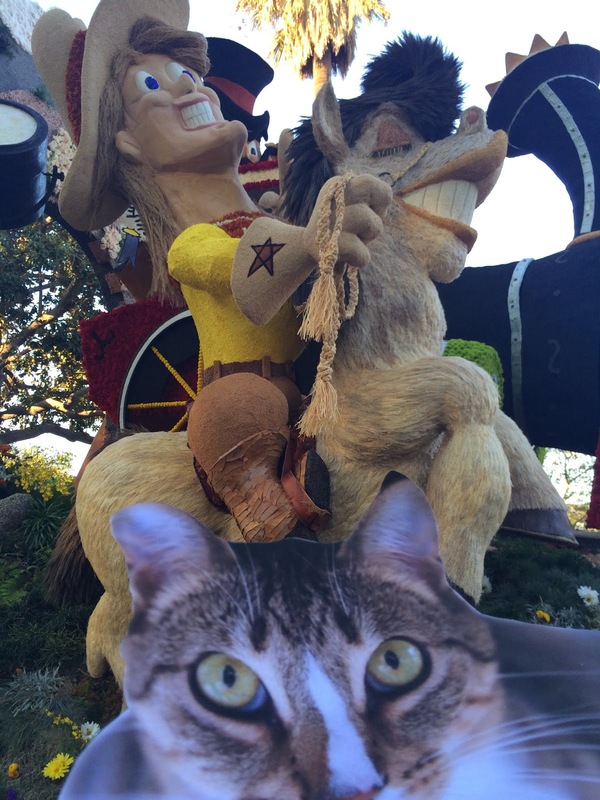 Itza Mew Yee Haw Year moment and Me & Myself giddy-yupping into this new 2014 year, sending abundacat smiles across the miles to YOU!